I have listed a new property at 205 31930 OLD YALE RD in Abbotsford. I have listed a new property at 8 33922 KING RD in Abbotsford. Large Rancher townhome with fully finished walkout basement in Kingsview Estates. 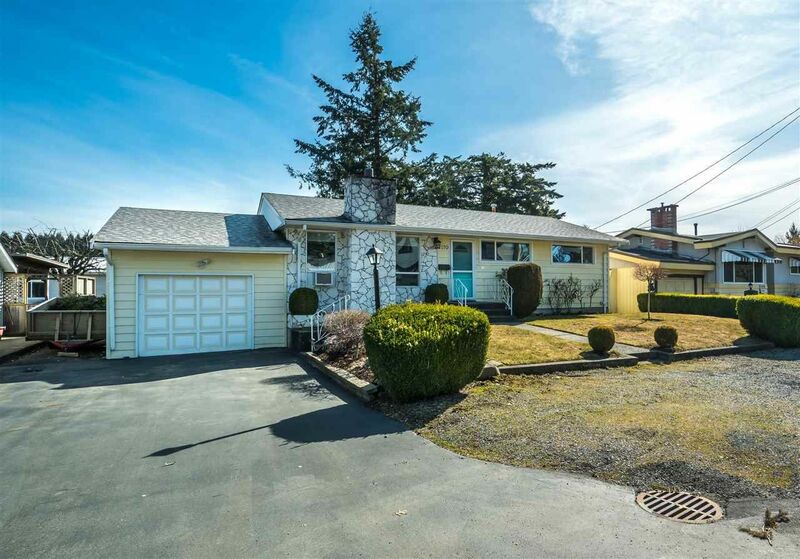 Friendly, well run, 45+ gated community in Abbotsford's popular "U" District. Close to all transportation and services. Well kept, one owner, 3 bedroom home. South facing rear covered deck and sunny lower patio adjoin the peaceful "inner ring" green space. Roomy kitchen and eating area. Formal living and dining room on main floor. Huge family room on lower level with cozy gas fireplace. Amazing amount of basement storage/ hobby area. First class stand alone clubhouse for your special events and family gatherings. Ample visitor parking. No pets or rentals. Quick possession possible. I have sold a property at 8 2475 EMERSON ST in Abbotsford. Abbotsford’s premier townhome location. Spacious, South-East facing upper townhome in Emerson Park. An easy walk to fabulous Mill Lake Park, Seven Oaks and West Oaks malls, restaurants and all services. Enjoy the morning sun on your roomy deck. Park in your own over-sized single car enclosed garage. Book the fully equipped club house for all your celebrations and family gatherings. This open floor plan (over 1200 square feet) is bright, clean and recently updated with new flooring, paint and all appliances. Master ensuite has just been fully renovated. Plenty of extra storage space in this home and garage. 55+, no pets or rentals. Quick possession available. 2019 Assessed Value is $363,000. I have sold a property at 36337 WESTMINSTER DR in Abbotsford. Kensington Park - Enjoy family & friend gatherings because there is room for everyone here. Massive executive home with over 4000 sq. ft. which included a bunker under the garage that makes a great workshop. 4 large bedrooms up with a bonus loft area. The main floor has 9' ceilings, a gourmet kitchen with large island, granite counter tops, chef's pantry & oversized maple cabinets. The great room features 3/4" hardwood floors, floor to ceiling rock faced high efficiency gas fireplace & crown mouldings. The basement offers some room for upstairs & a 1 bedroom unauthorized suite. Large sundeck overlooks the backyard which is peaceful & backs onto greenbelt, nicely landscaped with a pond. Close to amenities & excellent schools. Move in and enjoy one of Abbotsford's finest family areas. 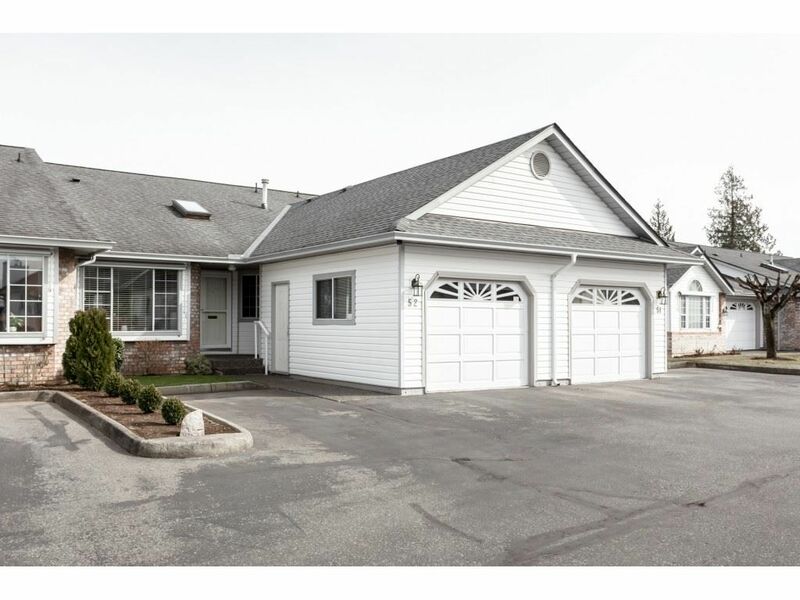 I have listed a new property at 314 31850 UNION AVE in Abbotsford. I have sold a property at 2170 WILEROSE ST in Abbotsford. Prime Location!! Beautiful home on a flat 10,500 sq. ft. lot close to Mill Lake, possibly the most sought after location in the city. Original owner, this solid 4 bedroom, 2 bathroom bungalow with mostly finished basement has a separate entrance. Updates include newer roof, windows, kitchen cabinets and furnace. Manicured HUGE backyard. Perfect investment property 70' frontage x 150 '. 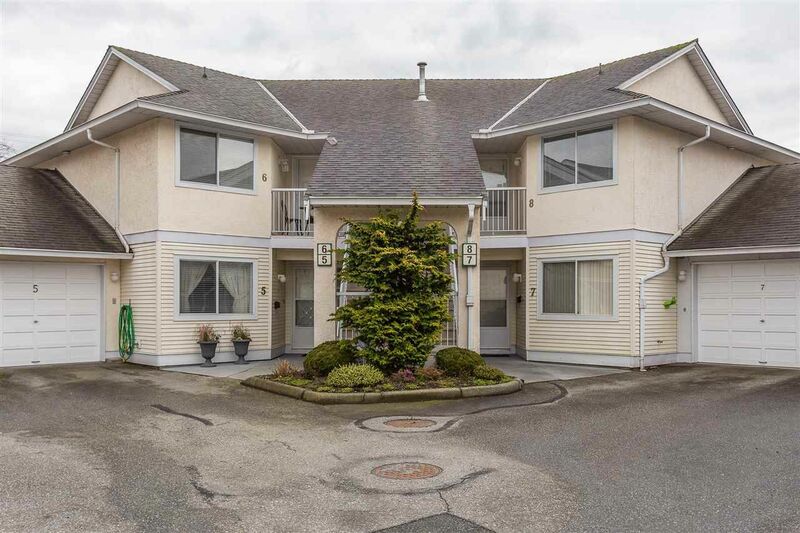 Situated close to McCallum Junction, Seven Oaks Mall, Abbotsford Hospital, Mill Lake and all levels of schools. OCP is RS3 Urban large lot, build your executive dream home here. 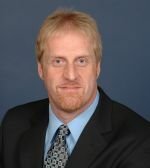 I have sold a property at 181 32691 GARIBALDI DR in Abbotsford. 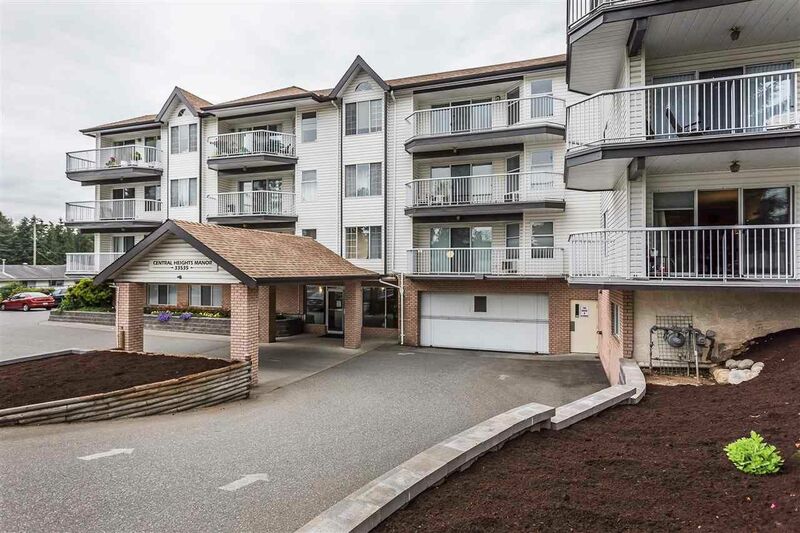 Level entry ground floor townhome in popular 55+ Carriage Lane Estates. (no stairs). Two covered patios, large living room / dining room, separate laundry room, master bedroom with ensuite and main bath with modern walk-in shower feature. Super clean with many recent updates...move right in. Spacious den has privacy doors for convenient use as an office or guest bedroom. Central location, walking distance to Superstore, shopping, restaurants, churches and all services. This complex offers amazing walkability, park-like green space, a two level clubhouse for your social activities & 3 workshops. Separate storage locker. Strata is well managed. Strata fees include heat, light & hot water. A small dog or cat are welcome. I have sold a property at 320 33535 KING RD in Abbotsford. Top floor 2 bedroom oversized NE corner unit! One of the larger suites in the building, rare to find a condo this size. Great view of mountains from the family room off of the kitchen. You'll love the spacious master bed room with ensuite. Large wrap around deck. This building offers a work shop, 3 guest suites and large library/games area. Strata fee includes heat and hot water. 1 underground parking spot. Storage locker is next door to suite. This complex is 55+ age restricted with no pets or rentals. Easy walk to McCallum Junction Mall (restaurants, Cabelas, Starbucks, Brown's Social House). Needs some updating and you'll have a beautiful home. I have listed a new property at 2170 WILEROSE ST in Abbotsford. 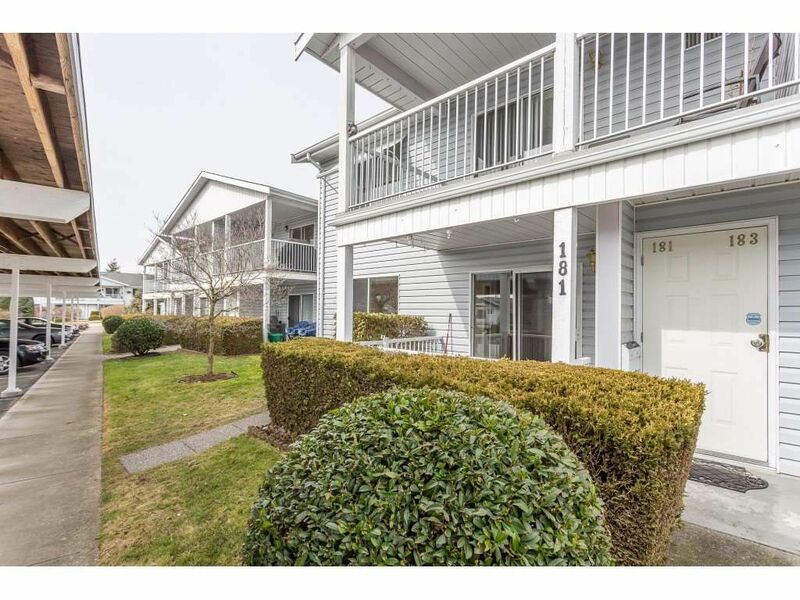 I have listed a new property at 181 32691 GARIBALDI DR in Abbotsford. I have listed a new property at 52 33922 KING RD in Abbotsford. 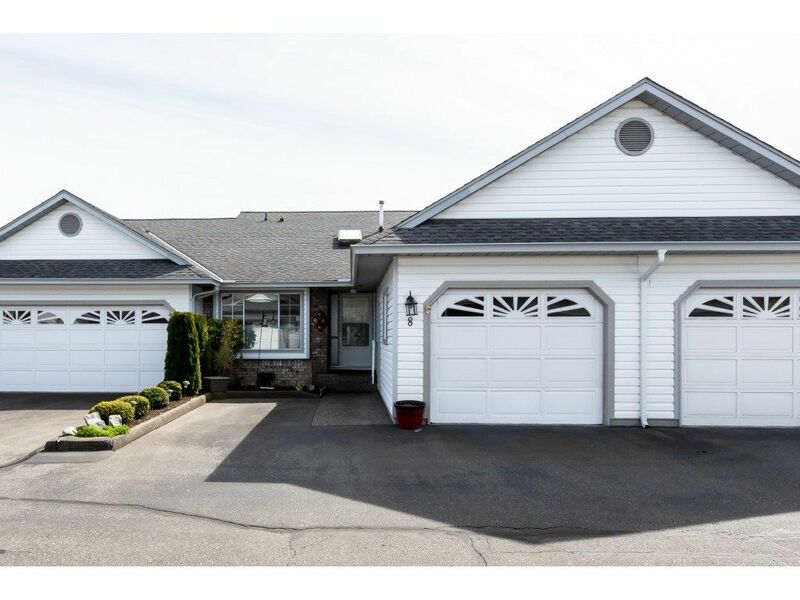 Kingsview Estates, ever popular 45+ gated community in a sought after central location. Close to everything including the new Cabella's Mall. Friendly, sociable, well run complex. Amazing club house and landscaping. Large rancher with full walkout basement and garage. Three bedrooms / three baths. Master suite and laundry on main floor. 2 cozy gas fireplaces. Modern central air conditioning. Kitchen has a sunny eating nook. Lower level offers rec room, guest bedroom and spacious hobby/workshop area. Lower covered patio and covered upper deck (with morning sun) overlooking manicured green-space. Garage offers a practical workbench storage area. Additional outside parking spot at front door. No pets or rentals. I have sold a property at 177 6001 PROMONTORY RD in Chilliwack. Look no further, this is the large Shaughnessy Plan. 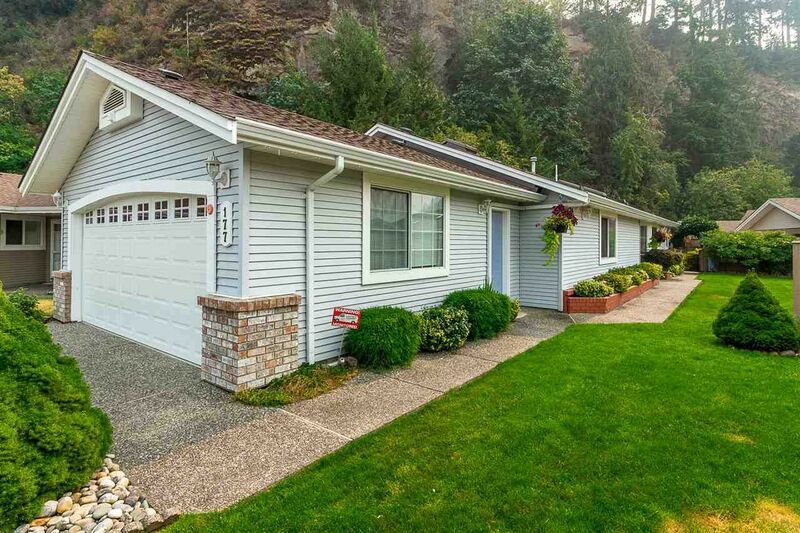 This sprawling rancher is absolutely beautiful & move in ready. Offering 1750 sq. ft., 2 large bedrooms, a den, plus 2 bathrooms. The master bedroom is oversized with a lrg walk in closet, spacious ensuite with soaker tub and a separate shower. Boasting a new furnace, 1.5 year old roof, double garage (20' x 22') and 3'5" dry crawlspace for lots of extra storage. The backyard garden area is an amazing area of paradise!! Awesome clubhouse, is a 45+ gated community and is located in a great location for shopping & much more. Low fees: $100 monthly lease & $150 HOA fee. Pets ok w/rest. 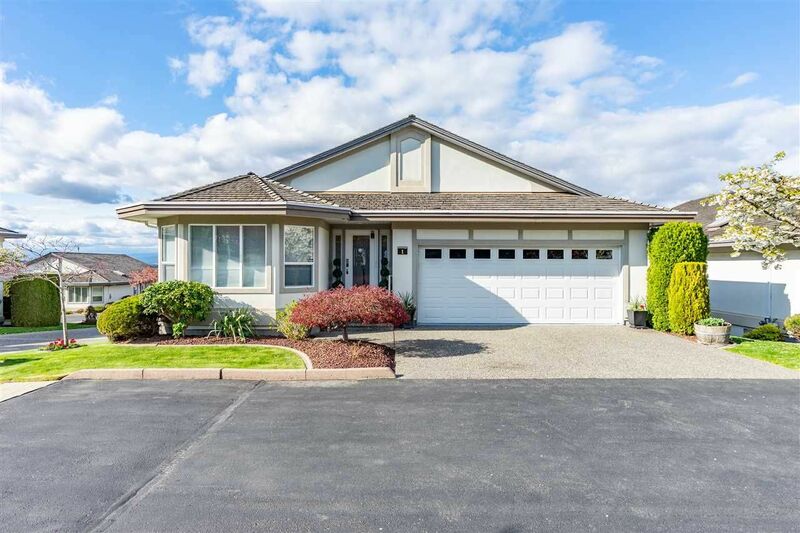 I have listed a new property at 36337 WESTMINSTER DR in Abbotsford. Kensington Park - Enjoy family & friend gatherings because there is room for everyone here. Massive executive home with over 4000 sq. ft. which included a bunker under the garage that makes a great workshop. 4 large bedroom upstairs with a bonus loft area, The main floor has 9' ceilings, a gourmet kitchen with large island, chef's pantry & oversized maple cabinets. The great room features 3/4" hardwood floors, floor to ceiling rock faced high efficiency gas fireplace & crown mouldings. The basement offers a 1 bedroom unauthorized suite. Large sundeck overlooks the backyard which is peaceful & backs onto greenbelt. Close to amenities & excellent schools. Move in and enjoy one of Abbotsford's finest family areas. I have sold a property at 317 2943 NELSON PL in Abbotsford. 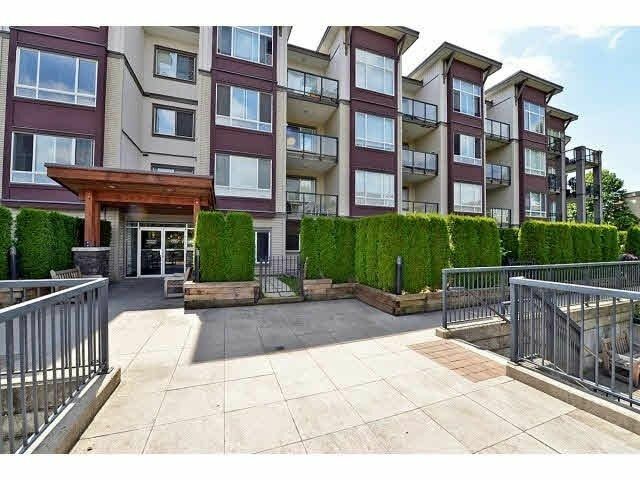 Centrally located condo with extremely efficient and well designed floor plan. Featuring wide-planked 12 mm laminate flooring, granite counter tops, 9' ceilings, open plan design, 2 parking stalls side by side & the convenience of Seven Oaks Shopping Centre just 3 blocks away! 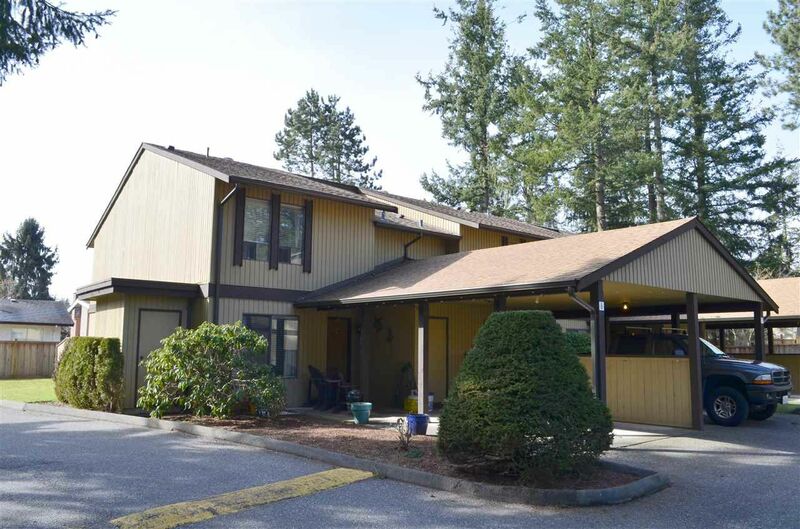 Close to walking trails and a fifteen minute walk to Mill Lake park. Great investment opportunity or perfect for the first time buyer. Hurry this wont last long. I have listed a new property at 6 2998 MOUAT DR in Abbotsford. Welcome to Brookside Terrace! Nice 3 bedroom, 3 bathroom end unit townhome in wonderful gated family complex, with a large back yard for the kids. High end laminate throughout, decorated in modern colors, newer appliances and an updated bathroom up. A cozy gas fireplace on the main for the cool winter nights. This unit comes with 2 parking spots, a large private backyard and perfectly situated close to all levels of schools, recreation (Rotary Stadium) and shopping. Call for your private viewing today! I have listed a new property at 320 33535 KING RD in Abbotsford. Top floor 2 bedroom oversized NE corner unit! One of the larger suites in the building at 1362 sq ft, rare to find a condo this size. Great view of mountains from the family room off of the kitchen. You'll love the spacious master bed room with ensuite. Large wrap around deck. This building offers a work shop, 3 guest suites and large library/games area. Strata fee includes heat and hot water. 1 underground parking spot. Worried about storage? One storage locker next door to suite and another storage locker downstairs. 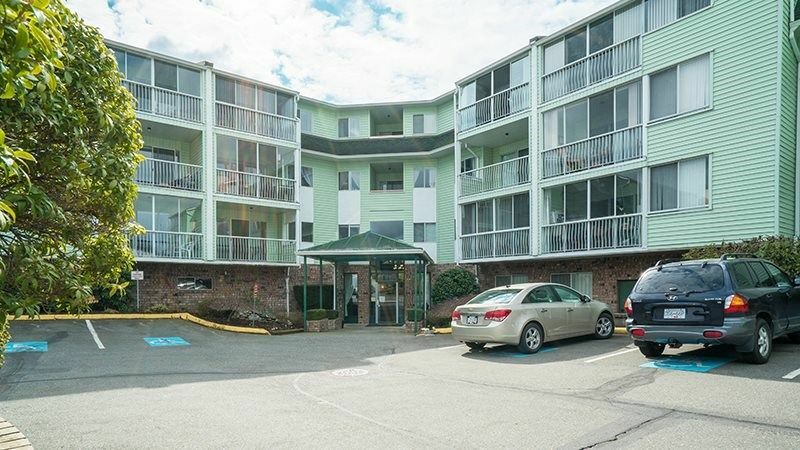 This complex is 55+ age restricted with no pets or rentals. Easy walk to McCallum Junction Mall (restaurants, Cabelas, Starbucks, Brown's Social House). Needs some updating. I have listed a new property at 177 6001 PROMONTORY RD in Chilliwack.  I have listed a new property at 317 2943 NELSON PL in Abbotsford. I have listed a new property at 3231 CLEARBROOK RD in Abbotsford. Much bigger than it looks! 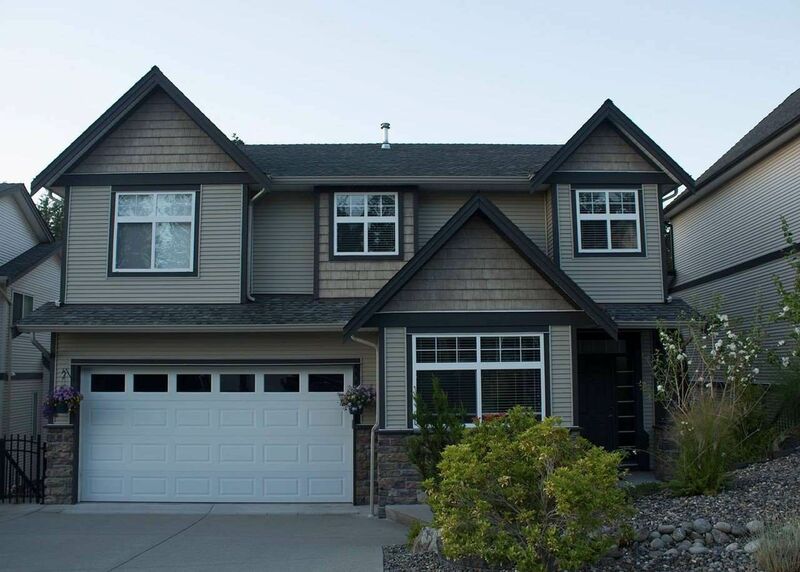 Five bedroom, three bath, open plan home with fully finished walk-out basement. Perfect suite potential for a mortgage helper. Parking for four cars and a fully fenced private back yard. No shortage of storage with a 10' x 20' and 10' x 10' storage sheds. Central Clearbrook location, within walking distance to all levels of schools, major recreation facilities, playing fields, parks and public transportation. Just minutes to easy freeway access.